There have been so many good pictures of cycling in this week’s snowy conditions that I dedicated posts to mountain biking and urban cycling. The cyclocross bike is a good machine for snowy conditions, as mountain bike suspension can soak up pedal strokes and spring. 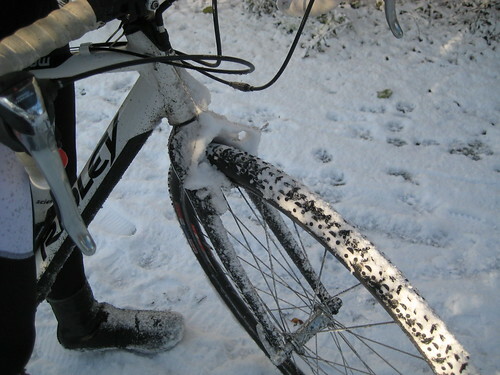 A good rigid cross bike can sometimes blast through snowy conditions. 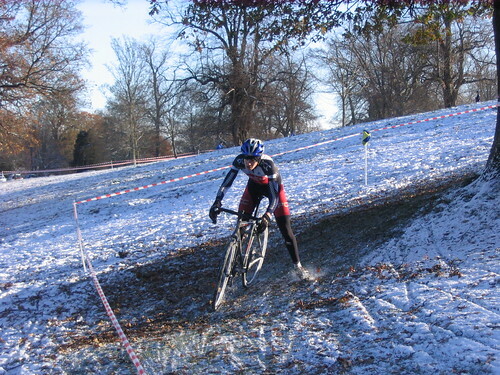 And cyclocross racing is a winter sport – it doesn’t stop for snow! Terence McMahon testing the clearance of the cantilevers to the limit. 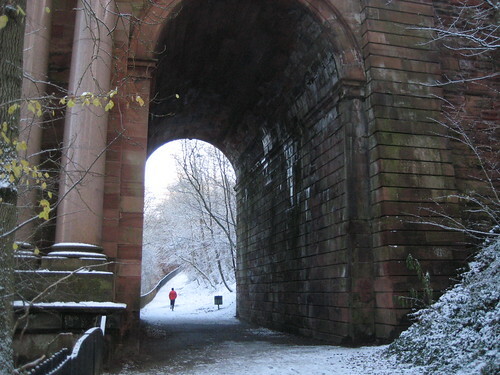 Cyclocross racing took place in Glasgow’s Kings Park despite the conditions. A cold day for Steve Macluskie, who marshalled. Full set on flickr. Graeme Warren aka pixelmix on flickr also shot a great set from the race, including this one of a VC Moulin rider – a club that specialises in CX. Craig Hardie‘s weapon of choice is the CX bike, being one of the best racers in the country. Here he used it for a trip to the sports centre in his native Fife. Road racer Craig Adams of Falkirk BC takes his crosser out in the Standburn/Avonbridge area. 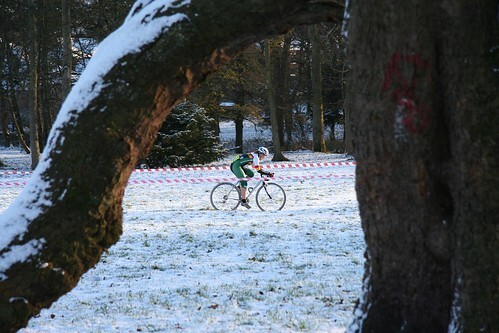 This entry was posted in Photography and tagged cyclocross, Scotland on December 1, 2010 by Owen.